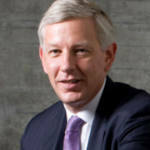 Dominic Barton is the Global Managing Partner of McKinsey & Company, and Chair of the Canadian Minister of Finance’s Advisory Council on Economic Growth. In his 31 years with McKinsey, Dominic has advised clients in a range of industries including banking, consumer goods, high tech and industrials. Prior to his current role, Dominic was based in Shanghai as McKinsey’s Asia Chairman from 2004 to 2009 and led the Korea office from 2000 to 2004. He is the Chair of the Canadian Minister of Finance’s Advisory Council on Economic Growth and the Chair of the Seoul International Business Advisory Council. He is also a Trustee of the Brookings Institution, a member of the Singapore Economic Development Board’s International Advisory Council, and a member of the boards of Memorial Sloan Kettering in New York City and the Asia Pacific Foundation of Canada. He serves on the board of FCLT Global (Focusing Capital on the Long Term), a non-profit organization dedicated to developing practical tools and approaches that encourage long-term behaviors in business and investment decision-making. McKinsey & Company is a global management consulting firm that serves leading businesses, governments, non governmental organizations, and not-for-profits. For over nearly a century it has helped its clients make lasting improvements to their performance and realize their most important goals. TheFutureEconomy.ca: How do you assess Canada’s competitiveness in today’s global economy? What are Canada’s specific strengths and weaknesses? Dominic Barton: I think Canada is very well positioned for the future, if you consider the country’s endowment in terms of natural resources, and more importantly in terms of talent. Canada leads the OECD in its share of adults with a tertiary education. We also have a good business environment and rank 2nd in the World Bank’s Doing Business 2017 report by the ease of starting a business. And obviously Canada is stable politically and economically, which is a strength given the current global environment. We’re also strategically located with the US south of our border, Europe, which is still strong, and the Asia Pacific region, which will be the global economy’s powerhouse for the foreseeable future. The world is more volatile than ever before and one of the reasons for this is the technological transition we are witnessing, which is creating tremendous opportunities but also tremendous challenges. For instance, with increased automation of work, there is a need to reskill people, and it is happening very rapidly in every industry. Our education system is going to have to revamp itself to be ready. One of the significant challenges Canada faces is its rapidly ageing population. Labour is critical to productivity, and while our GDP per-capita growth has averaged 1.9% over the last 50 years, it is expected to average 0.8% over the next 50 years. This will have a big impact on middle class incomes. Canada is also a very small part of the global economy and we don’t have a big enough domestic market, which means we have to export and trade. And in the last 10 years, Canada’s share of the Asian export market has decreased. On top of this, the increasing protectionism and nationalism that is going on around the world at the moment is a risk for Canada in the future. So despite our strengths, we need to address these challenges and there is an urgency to move fast and make strong moves if we want to thrive. Is Canada’s relatively small economic size also a weakness when it comes to negotiating or re-negotiating trade deals? I actually think Canada has some advantages in negotiating trade deals. For instance, if you look at the US, 35 states have a trade surplus with us, so the US needs us as much as we need them. We have to make sure people understand that. With China, we have what they need in terms of resources, so while we’re not in a position to swing our weight around, we do have strengths to rely on – but we need to get moving. Canada’s companies tend to be limited in their ability to go global. Do you recognize this challenge? What can be done to build Canadian companies’ capacity to expand internationally? I do agree with that and I think what we need to do is think more like Switzerland does. The country has a large number of multinationals, which of course reach well beyond the Swiss market. In every part of Canada, there are so many exciting companies being created, whether in technology, gaming or healthcare for instance, but I think Canadians need to think about the Asian market. It’s within reach geographically, but it does require getting to know the market, going there and developing linkages. I do think we can tend to have an East-West, national perspective or at the most North American perspective. You advocate for more trade agreements and you are in a position to advise the federal government in this regard. What trade opportunities and challenges do you see for Canada today? I think it’s great the Government has finalized negotiations on the CETA agreement because Europe remains a big market. I do think that Asia is the elephant in the room and I think we need to stay focused because negotiating these trade agreements is not an easy thing to do. When looking at potential trade agreements we should pick the three markets that will have the most potential for growth for Canada, these being China, India and Japan. If you look at the agri-food sector alone, the demand for meat and dairy is going to double in China by 2050 so they need our products and our value-added products. The Asian middle-class is projected to grow by 2 billion people through 2030, which represents a massive market. We should also claim our fair share of Asian tourists, which is a great way to create jobs and allow people to increase their income. Post-secondary education is Australia’s 3rd largest export whilst it only represents Canada’s 11th largest. We have very well respected universities and they are reaching out to Asia but I think we need to scale up our efforts significantly. So I think there are a lot of opportunities in trade but the markets are very large and we are quite small so we need to have some focus because these things take time to set up. Asia is the big priority and we have a disadvantage because Australia already has a free-trade agreement with China, which is not helpful for our companies in mining, financial services or agri-food for instance. The Federal Government’s most recent budget includes a boost for venture-capital support for startups. How should this funding be used to accelerate Canada’s innovation economy? I’m excited about the budget because it is putting a lot of weight and commitment behind innovation as well as reskilling. Canada is full of great ideas and we produce a lot of inventions, too. Our challenge is in turning those ideas into revenue-generating activities and scaling them into great businesses. This new budget addresses those issues and the 1 billion dollar growth fund is targeted right at that group that we want to crank up, including the venture capital industry and the clusters. This is about promoting private sector-led initiatives whereby businesses choose where to invest and which initiatives to scale up, rather than the government picking winners and losers. There are so many good things happening in high-tech sectors like artificial intelligence, clean-tech or health sciences for instance. And of course other sectors need innovation too, such as agri-food, which is often undervalued and where the massive growth in the global middle class will translate into significant opportunities for us. Energy and renewables presents a lot of potential too. This budget is about focusing our energies and helping commercialize our ideas faster and scale up. I was also excited about the easing of access to public procurement contracts for start-ups, which is something the Advisory Council on Economic Growth was pushing for. The Government is the biggest customer in Canada and we have seen examples in the US and the UK where this kind of initiative really helps innovators. One innovative Canadian company I am excited about is D-Wave, which is leading the way on quantum computing, with NASA and the Universities Space Research Association are clients. As well as the $1 billion Canadian Business Growth Fund launched by Canada’s biggest financial institutions the Government also announced a new infrastructure bank. Is there a need for a new form of cooperation between the private and public sector to advance Canada’s economic ambitions? What role do you see for private sector-led initiatives? I think we need to have more private capital be deployed to help develop businesses because it is good at selecting projects on their own merits. If you take the infrastructure bank, many countries have talked about it but no one has done it, so the fact that the federal government is moving ahead with it is a big deal. We have this very significant gap in our country’s infrastructure, estimated at up to $650 billion. For example, we need to expand our port facilities in Vancouver, we need more grain cars, we need better mass transit and other productivity-enhancing infrastructure. The infrastructure bank will provide some of the basic risk capital and the private sector will provide the rest, which allows us to build a lot more infrastructure than we would otherwise be able to. In this sense, the infrastructure bank is a kind of public-private-partnership where public funds are leverage to develop strategic infrastructure like transportation, energy or 5G networks that in turn boost our country’s productivity, which is lagging behind countries like the UK or Australia. The Canadian Business Growth Fund created by the large banks and insurance companies is a very good one because it gets them involved in smaller entities with different types of capital than just loans. We have estimated that there is a $200 to $350 million funding gap for companies with $10 million plus revenue so we think this fund could help companies scale and look beyond just Canada. What are the top 3 sector opportunities you see for Canada in the future and why? I think agri-food would be number 1 because of the 2 billion additional middle-class consumers in Asia by 2030 and the digital revolution that is going on in that sector. It is ours to lose and we have a huge competitive advantage. Number 2 is health and life sciences; as you know, as we age we break down and we become more costly so we are going to need a revolution in how we take care of health. Thanks to the fact that Canada has a health system that gives access to everyone, we have gathered a massive amount of data over time and this is a huge source of potential innovation. We need to address the issue of regulation because I think we’re too restrictive and this won’t happen automatically, but the technology is available for us to do things with the data. So I think a combination of the science and the health delivery revolution using technology will lead to lots of opportunities for Canada. And we have to address this challenge because we simply can’t afford to keep doing things the way we do them today. Moreover, Canadian health innovators need to think about the Chinese market and leverage Canada’s standards, governance and technology. Number 3 would be a tie between advanced manufacturing – i.e. ‘industry 4.0’ – and energy and renewables, which is such a big part of who we are. How do you see the future of Canada’s legacy sectors such as mining, oil & gas and forestry versus some of Canada’s most promising new sectors, which include digital, clean tech, health and agri-tech for instance? I think we will definitely do new things but our legacy sectors will remain very important. If you look at mining, the digital revolution that is occurring is fascinating to see, and the world will need more copper, gold and zinc with 2 billion new Asian middle class consumers by 2030. The Government is calling those sectors ‘tables’ on which we can build innovation so I believe they will be an important part of what we do in the future. It doesn’t mean we should solely rely on them but they give us an advantage as they go through a technological disruption and we shouldn’t give away those opportunities to others. What opportunities do you see for Canada in the areas of innovation and sustainability, a way to reconcile Canada’s vast natural endowment with future economic growth and realities? Clean-tech was prominent in the latest federal budget and it’s a very big opportunity. We should be leaders in those technologies because it is about using our resources effectively. I also see a lot of potential in the food industry because it is going to be a big stretch to feed the massive growth in world population in the next 20-30 years, unless we innovate and get better at ways to use water and energy especially. I’m a big believer in ‘green growth’ where economic growth and sustainability aren’t trade-offs but go hand in hand. I think Canada can achieve this but we need to monitor the incentive systems we put in place to avoid overtaxing promising sectors and driving business to other countries where there is less regulation and costs are artificially low. It’s about looking at the incentive systems as a whole and providing incentives to use our resources more effectively. The one thing I am concerned about is water as we are blessed with so much of it but we waste a lot of it too. So we need to be more mindful and include those considerations in our pricing and the way we compete.